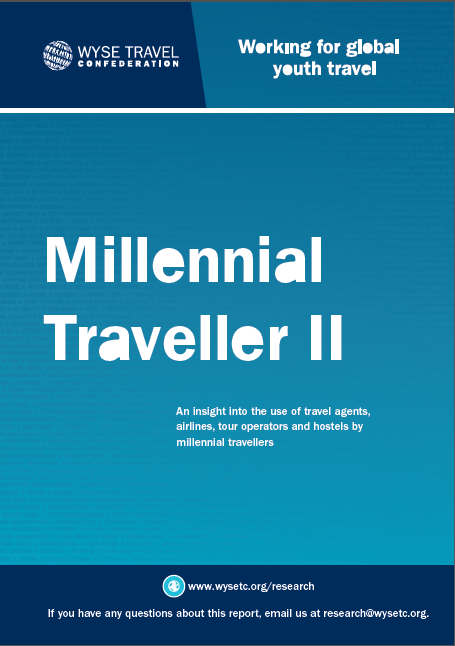 The Millennial Traveller II report, the second in WYSE Travel Confederation’s Millennial Traveller series, focuses on four types of services utilised by millennial travellers: travel agents, airlines, tour operators and hostels. Opinions on products and services. This latest report is part of a series based on the results of the Millennial Traveller survey, which was completed by more than 6,000 travellers aged 18 – 30 from over 100 countries last year.